How to Free Convert/Play/Edit Videos on Mac with MPEG Streamclip? Looking for a way to convert videos on Mac for free? 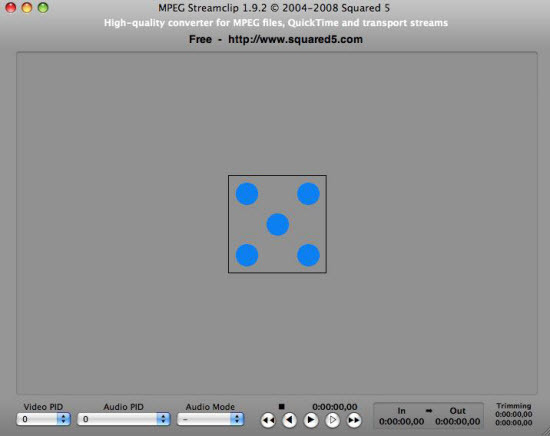 MPEG Streamclip for Mac can be your idea choice. With this high quality video converter, player, editor, you can open most movie formats including MPEG files or transport streams, play them at full screen, edit them with cut, copy, paste, and trim, set in/out points and convert them into muxed or demuxed files, or export them to QuickTime, AVI, DV and MPEG-4 files with more than professional quality for easily importing them in Final Cut Pro, DVD Studio Pro, Toast 6, 7, 8, and use them with many other applications or devices. You can download MPEG Streamclip for Mac by visiting its official website. 2 different versions here are available right now, the stable and beta. The stable version, currently 1.9.2 is the best for production use, while the 1.9.3 Beta 8 version is suitable for those that want to give a try to the latest features added. If you want to download YouTube videos, we highly recommend you to download the Beta, as the stable version is not currently offering this feature. After the application is downloaded, you just need to drag and drop the application from the DMG to the Applications folder. If you have an older version of OS X and need to save as AVI you might consider installing the separate component included in the download. How to free convert files on Mac with MPEG Streamclip? As a simple to use application, MPEG Streamclip for Mac allows you to directly drag and drop the file to the program and then do various modifications such as the Video PID, Audio PID and Audio mode as well. You can also open files by reaching the File menu then choosing file type opening options like Open Files, Open URL or Open DVD. For opening video file formats like WMV, MKV, FLC, AVCHD or AVI file, you’d better choose “Open Files” option. With this simple to use application, you can output various different formats when the conversion is completed. Supported file formats including QuickTime, DV, MPEG-4 and AVI. Besides that, you are also allowed to export audio from video or a certain frame clips. Basic video editing tasks such as joining, trimming or rotating the video can easily be done with the MPEG Streamclip application. Just click the “Edit” menu, from its drop-down options, you can select your desired editing function. To join or rotate videos, just go to the List menu and select the Batch List option, add two or more files you want to join and then check the option of joining all files. When it comes to video rotation, from “Edit” menu drop-down option, choose Rotate Video and you will receive two different rotation modes, the CW and CCW. For Mac users who require to copy/backup 2D/3D Blu-ray/DVD disc with subtitles or audio tracks preserved or convert video files to optimized devices and programs, Pavtube iMedia Converter for Mac would be your best alternative for MPEG Streamclip. How to Convert MXF files with Handbrake Alternative on El Captian?